We were tasked by ELEMIS with elevating their Christmas campaign, a period saturated with sales that was missing an emotional connection with their fans. We wanted to establish ELEMIS as a ‘skin care digital disruptor’ within the industry through an engaging and innovative Christmas activation. In a busy time such as Christmas, women have even less time for themselves. Planning Christmas dinners and buying all the gifts can be stressful - we wanted to relieve some of the pressure. Time is so valuable, but so little is for ourselves. This Christmas, ELEMIS is giving women back their ‘me-time’ - time for themselves, their loved ones and their skin! ‘Me-time’ became an empowering promise that women make to themselves on a dedicated microsite. The promise they make enters them into a prize draw and gives them access to exclusive content to help them keep the promise each week. We had 4 weeks of campaign activity, with 4 different themes each week: Indulge, Re-energize, Unwind and Calm. Each week had a competition element - prizes from ELEMIS and a brand partner, such as Lulu Guinness, FOREO and The Inspiring Travel Company. 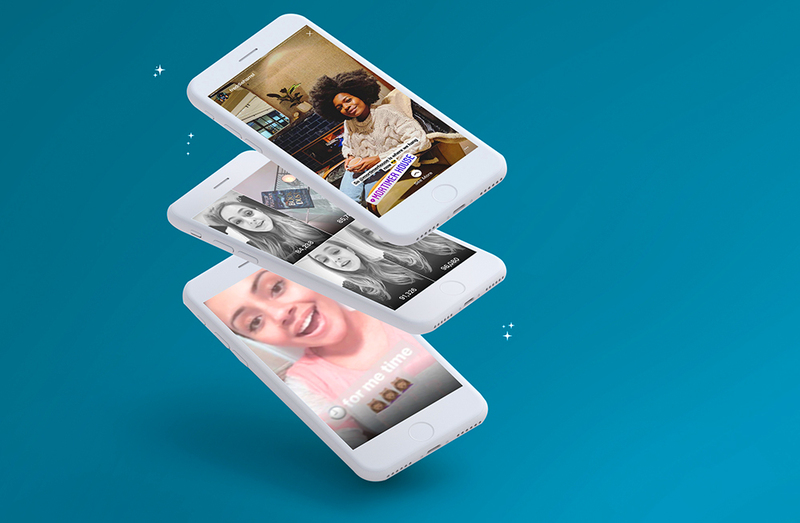 There were also 4 influencer partnerships boosting the campaign awareness through Instagram stories - Fleur de Force, Freddie Harrel, Kaushal Beauty and Patricia Bright talked about how they like to spend their ‘me-time’ in the stressful lead-up to Christmas. We also produced still life content for the Me-Time campaign, including the brand partner prizes. The assets were used for the microsite, ELEMIS.com homepage banners and both organic and paid media. The campaign was a big success for ELEMIS, allowing them to bring an emotive aspect to their sales-heavy December month. 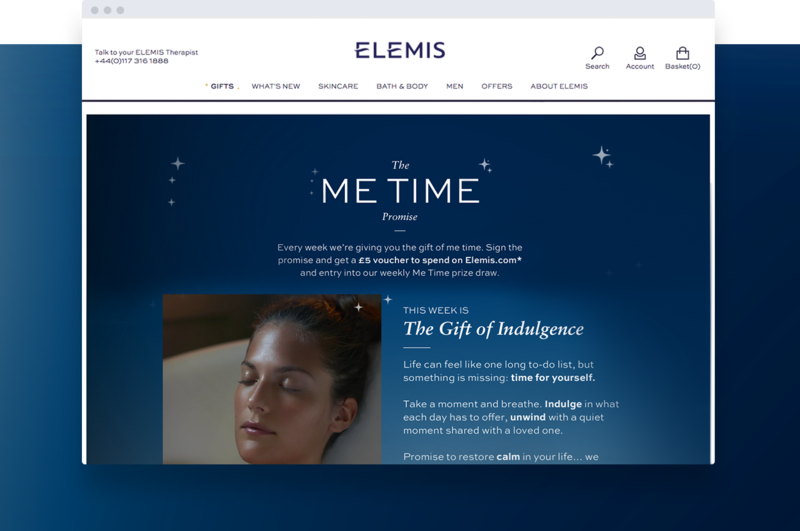 The ‘Me-time’ promise was signed by over 20,000 people, generating over 10,000 new email subscribers for ELEMIS, and a 54% YoY revenue increase for December.